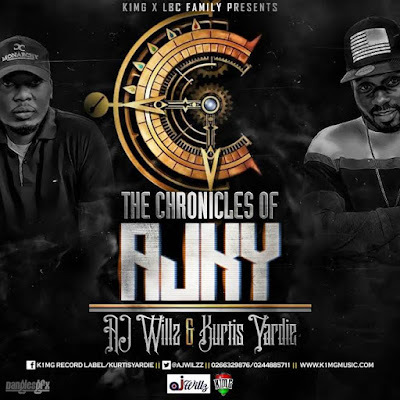 Chronicles of AJ Willz and Kurtis Yardie confirmed! K1MG record label is proud to announce that it has struck a deal with the LBC family rep AJ Willz of Live Fm for an album titled Chronicles of AJKY. This marks the beginning of a musical journey embarked by the 1st Prince of the Label, the Starcity Boss, Kurtis Yardie. After 5 successful singles, Kurtis Yardie is gradually becoming a force to reckon with in the Dancehall business in Ghana, this development has attracted attention to his progress, which has brought up a new bond between K1MG and the LBC family, there would be many intriguing releases under this album which would blow minds of music lovers. Anticipate the best from the Chronicles traclist, as Kurtis and AJ Willz blow your mind with release upon release from this album.